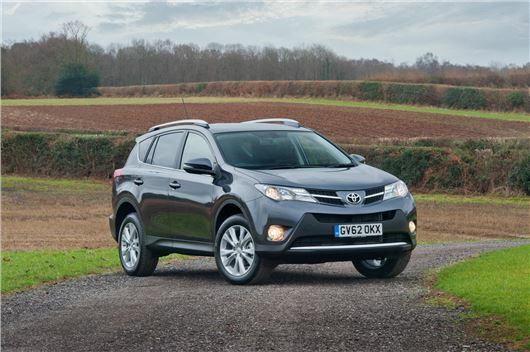 Toyota has given its RAV4 an overhaul, enhancing specification, adding some additional optional extras and reducing the entry price by £400. The revised models are available to buy now, with a lower starting price of £22,195. All models now come with and enhanced touch screen system, which has a higher resolution screen the previous models and has a few extra features, including Bluetooth and iPod connectively. Furthermore the 2.0-litre D4D diesel engine, previously offered with front-wheel drive only, is now available with all-wheel drive. Icon and Invincible trim levels, which make up the majority of the RAV4 range, have been enhanced with additional extra equipment. Icon models have gained keyless entry and push button start as standard, along with two-tone 18-inch alloy wheels. Buyers who choose Invincible trim can now choose between beige or black leather upholstery and front parking sensors are now standard – along with the rear sensors previously fitted to Invincible trim. Furthermore the options list has been expanded. Extras now include a blind spot monitor and ‘Rear Cross Traffic Alert’ which helps when reversing out of a driveway by monitoring traffic moving perpendicular to the rear of the car. If a hazard is detected then a warning light will flash in the corresponding door mirror.